Fishing waders are helpful for keeping your clothing and tools clean and dry while you are in the water. They also keep you comfortable by preventing water from seeping in, which can put a damper on your fishing excursion. The best fishing waders is the Compass 360 Deadfall Breathable Chest Wader, which is constructed of a durable 4 ply nylon material with reinforced 2 layer knee and shins. They also feature an adjustable elastic suspender with a quick release buckle. Breathable fishing waders are the most desirable but you will have to pay extra for them. However, it is completely worth it as it wicks the moisture away from your body and through the material to keep you dry and comfortable. When it comes to finding the right fit, we recommend that you choose a slightly loose fit with additional length. This reduces the stress upon the waterproof seams as they become stretched. Wearing clothes underneath the waders and sitting or kneeling down causes the stress on the seams, which can result in water leaking through. Fishing waders can be constructed of a range of materials and come in various designs to suit your requirements. 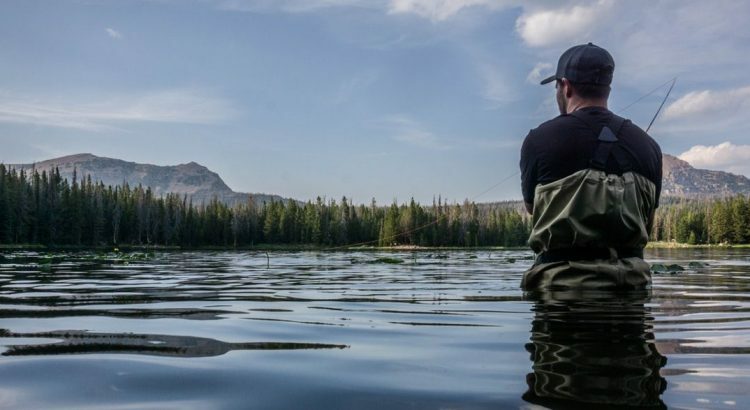 Below is a list of the best fishing waders that are ideal for fly fishing and ensure you are kept dry and comfortable. Overall, the superior construction of the Compass 360 Deadfall waders make them the best fishing waders on the market. Although they are on the more pricer side compared to alternatives, they are perfect for the avid fisher who needs total protection and comfort while out in the water. The comfortable fit is perfect for many different sizes and the fabric is both durable and breathable. These waders are very lightweight, which is why many fishers love them so much. In fact, the brand claims they weigh 35 percent less than other waders. The flexible construction also is designed to prevent chafing, so you can focus completely on fishing while you’re out on the water. This classic two-tone wader is another good quality option for the avid fisher. As the name suggests, this wader is very breathable, so you won’t feel heavy or bogged down while using it. It has a stylish design and keeps water out to protect your clothes and fishing gear. Here are some of the notable features of the Caddis Men’s breathable stocking foot wader. This fishing wader comes in a huge range of sizes for both men and women, so you don’t have to settle for a wader that doesn’t fit you. It’s important to note that this Caddis wader doesn’t come with boots, so you will have to purchase wading boots separately. This is a good buy for someone that already has quality wading boots and just needs the coverall section. If you like to take your kids fishing, it’s important that you get your kids a pair of waders as well to make the experience more enjoyable for them. These fishing waders are stylish, functional, and comfortable, so your kids won’t mind wearing them. The stretchy construction means that kids can keep wearing these waders for a few years as they grow. If you’re looking for the most affordable pair of waders, the FISHINGSIR waders are a good cheap option that will still provide good value. Although these waders are affordable, they are still made with durable fabric and construction, and they’re also very light and comfortable. Here are some of the notable features of the FISHINGSIR Chest Fishing Waders. Two-ply waterproof nylon fabric is durable and keeps water completely out. It also feels soft and is lighter than standard nylon fabric. The FISHINGSIR waders may be cheap, but they definitely don’t skimp on quality. They are a great first pair of waders if you are just getting into fishing and don’t want to spend too much. The nylon fabric and the adjustable, comfortable fit are on par with many of the more expensive brands of fishing waders on the market. There are many things to look out for when you are shopping for fishing waders. When you are out fishing, you’ll not only be dealing with water, but you’ll also be wading through plant life and even encountering water animals. Therefore, you’ll want something that’s durable and can withstand the elements. Here are the factors you should look for when shopping for a pair of fishing waders. The first thing to look at when buying a pair of fishing waders is the fabric used. Many waders use nylon, because it can be easily waterproofed and is durable, but it’s still very lightweight. Nylon provides a bit of stretch and breathability as well, which is very helpful when you’re out in the water. If the fabric doesn’t breathe, it can make you feel heavy and even claustrophobic in the water, which is very uncomfortable. You should look at the thickness of the fabric as well. A 4-ply nylon is going to be thicker than a 2-ply, and it’s also going to be more durable. Some waders use neoprene instead of nylon. Neoprene is another waterproof fabric that works well for fishing gear. Neoprene keeps you warm, and it also feels soft and stretchy, which is very comfortable. Neoprene isn’t as breathable as nylon, but it’s quite warm, so if you like fishing in cold water bodies, then neoprene is a good choice for you. If you purchase a pair of nylon waders, you will need to wear an underlayer when fishing in cold water. Both fabrics are easy to clean, so you can just rinse off any dirt and debris after use. The next thing to look at is the quality of the boots attached to the waders. A good pair of boots should be very durable and waterproof, because having water and mud seep through your boots is never fun or comfortable. Some boots contain an extra lining as well, which provides an even stronger layer of protection. It’s also helpful if the boots have some grip to them on the bottom, which will give you more traction when moving through the water. You’ll likely note when shopping that not all waders come with boots. If you already have a pair of fishing boots, then you may only opt for stocking foot waders so you can put your favorite pair of boots over the top. This is the best option for many fishers, because their own boots are more comfortable than the boots that would come attached to the waders. If you are purchasing them separately, check out our list of the best wading boots that are ideal for a range of fishing and easily tackle slippery rocks. Although fishing waders are supposed to be a bit big, they will be much more comfortable when they fit correctly. 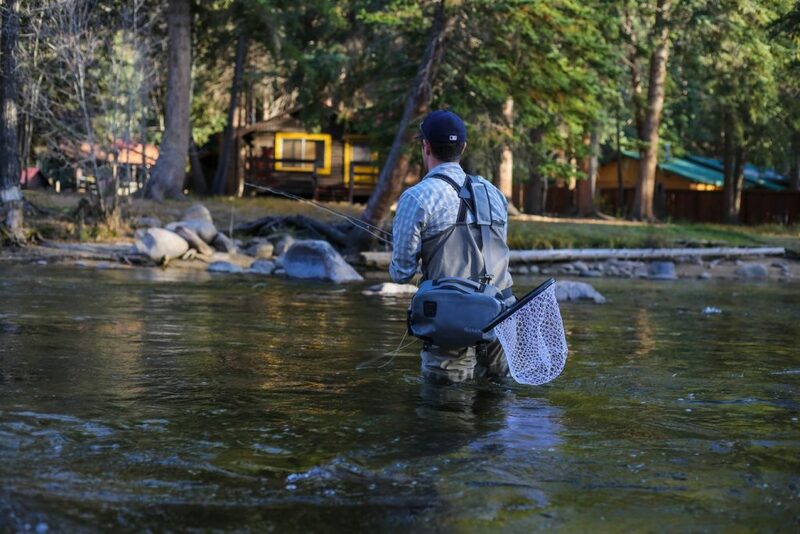 When shopping, look for waders with a range of sizes available, so you can find an option that fits perfectly. This is particularly important if you are much smaller or bigger than average, or if you are a woman, teenager, or child interested in fishing. Waders that have adjustable straps tend to be most comfortable, because the adjustable fit helps the straps stay up and keep the wader in place. Many waders also come with a chest strap across the front, which adds even more support and keeps everything in place. The last thing you want to worry about while fishing is your waders falling off, so a durable set of straps is an important feature to look for. Quick release buckles are another helpful feature to look for in your waders, because it will make it easier to get in and out of the waders. If you like to carry lots of fishing gear with you, you should look for waders with pockets for extra storage. Many waders come with a zip pocket across the chest where you can store some of your favorite fishing accessories. These pockets fold out for ease of use and maximum storage capacity. Some waders also have pockets on the inside for even more storage that will keep your items dry in the water. Since you are most likely to get wet from the knees down when wading in the water, reinforced knees are a very helpful feature to look for in a pair of fishing waders. Many waders come with reinforced stitching at the knees, which not only keeps water out, but also prevents wear and tear over time. Some waders even are reinforced all the way down to the ankles for extra protection. 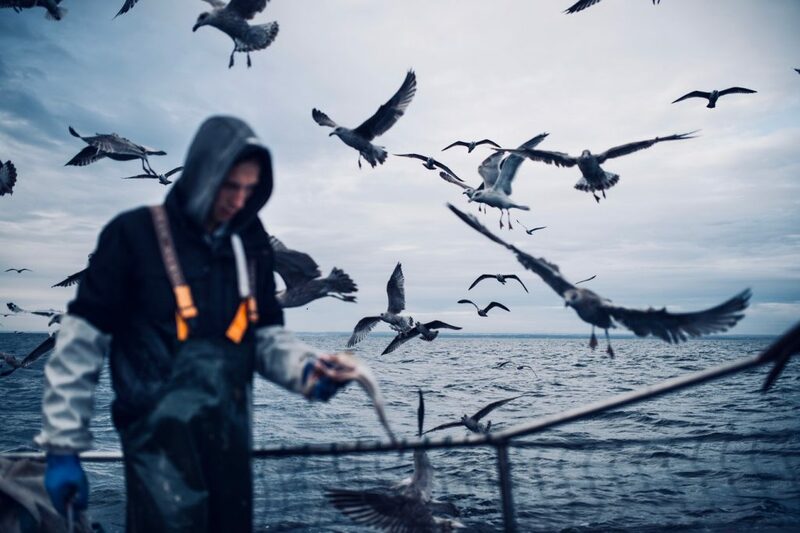 Most fishers don’t care too much about how they look out on the water. However, waders do come in a few different colors and styles, and this could be a helpful factor to take into consideration if you are struggling to decide which pair of waders to purchase. Fishing waders commonly come in neutral camoflauge colors, such as tan, brown, gray, and forest green. These are guards that keep pebbles and debris out of your waders and boots when you’re in the river. If you’ve experienced a pebble in your shoe before, you know how uncomfortable it can be, and it’s frustrating to have to worry about this when you’re out on the river and trying to fish. A good pair of gravel guards will keep irritating debris out of your waders, making for a more comfortable experience and easier cleaning later on. Fishing waders are a must have for anyone who enjoys fishing and water hunting. With so many options to choose from, it’s important to decide what features you most need before going shopping. A durable pair of waders is a great investment, because they will keep you comfortable in the water and prevent chafing or other issues. For the best experience, it’s also helpful to find a pair of waders that fits you well, and has adjustable straps and other features for a close fit. With this guide, you will be able to choose the best pair of fishing waders for your needs.